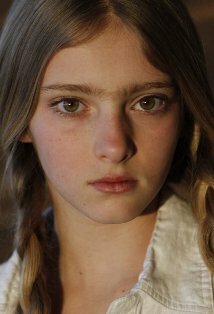 According to the Hollywood Reporter Willow Shields has been cast as Prim aka Primrose Everdeen aka the reason Katniss is IN the Hunger Games in the first place! I think she looks PERFECT! This is really starting to come together in an amazing way! How can I so strongly disagree with their choices for the leads, and yet really love the minor character casting so far? My brain hurts. Thanks for keeping me updated on the casting! I think she looks like a great Prim. I'm right there with you, Annie. They've also cast Marvel, and he's so new he doesn't even have a page on IMDb! Looking through the few photos on IMDb, she looks PERFECT, all sweet and innocent. CANNOT WAIT!! Too precious for this world!